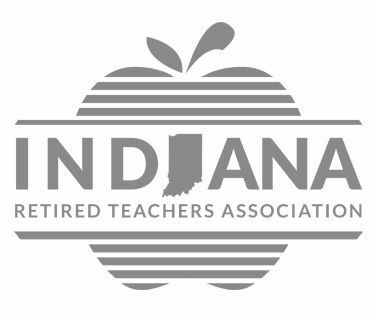 Indiana Retired Teachers Association are a non-partisan association that advocates and partners with retired educators. Since 1950 they have served retired educators by providing planning resources, member benefits, social connections, and by acting as their voice in the General Assembly. 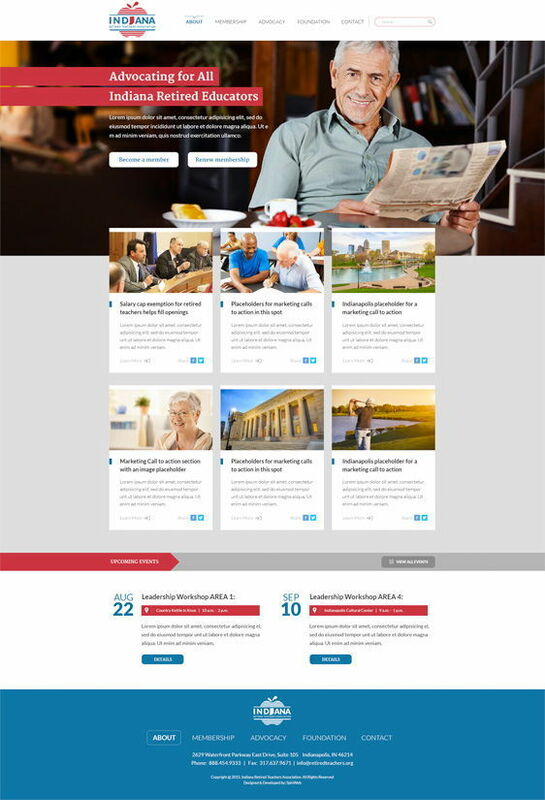 IRTA embraced the inbound marketing philosophy and engaged with SpinWeb to redesign their website and launch a new digital marketing plan. The old IRTA website was missing many essential components, including a concise mission statement, email marketing, event registration, online payment capabilities and more. An additional challenge was working with several people on a board and committees. Committees had to approve the new logo, branding, and website. The CMS (content management system) makes it simple for IRTA staff to update their website whenever they need to. We made sure to build the website so that anything could be added back in later if they decided to change anything. For example, board members were in the midst of deciding on a new membership database; they have the flexibility to use a third-party integration or a custom database included in the CMS. 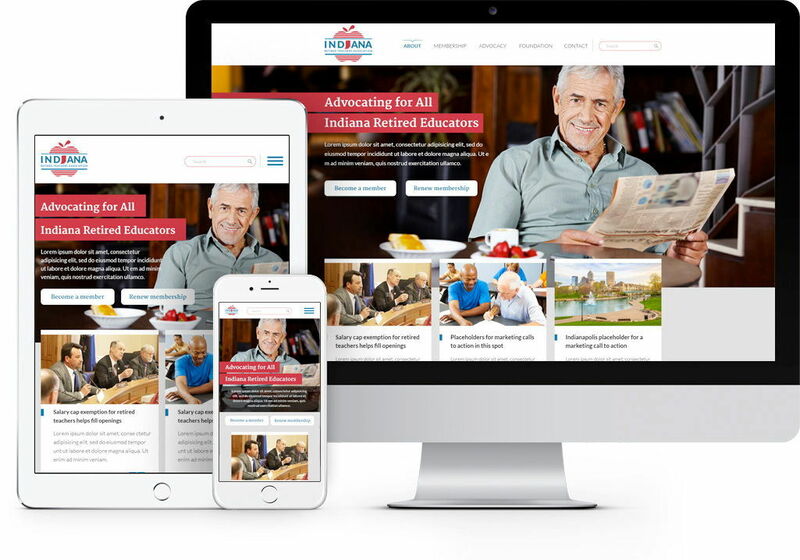 The website was designed with several audiences in mind: pre-retirees, retired educators, active older teachers, associates and current members. 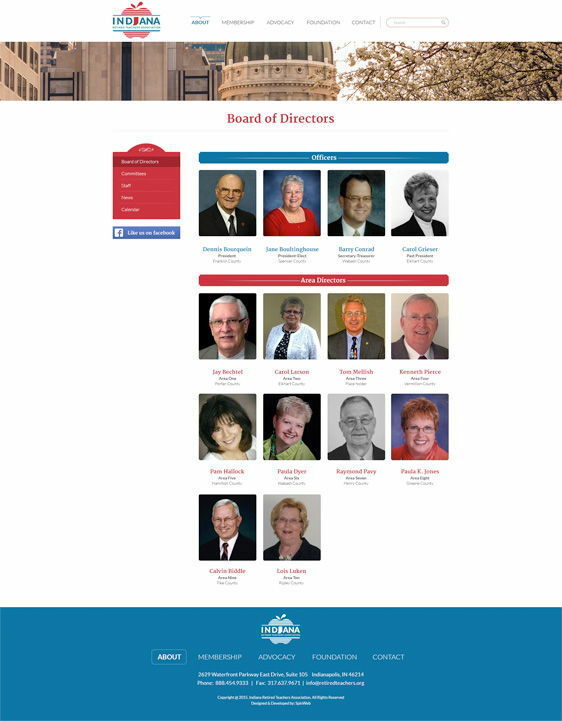 The website was given a fresh, clean look that is easy for members to navigate on any device. One of the challenges IRTA faces is connecting members to their local chapters and recruiting local leadership. To make local chapters easier to find, SpinWeb created a custom directory to organize the information. 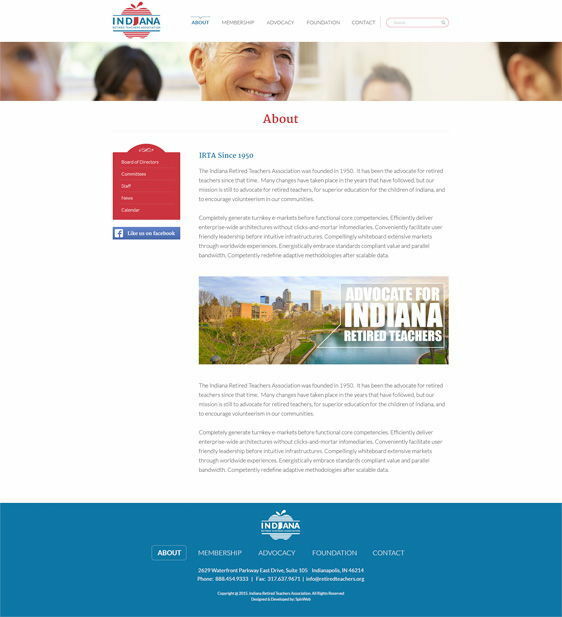 Each local chapter leader can create their own website for their local chapter. But, for those who didn't choose to make a separate website, they can log into the CMS and create their own page within the IRTA site. The site takes these two routes into consideration in the design. 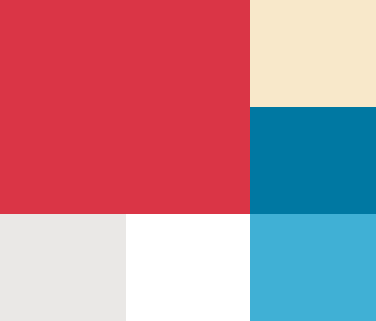 We redesigned their logo and color palette. Communicating that this isn't just for teachers, but all educators in the state: current, retired, administrators, higher education, etc. While not losing sight of the fact that they are here for teachers. We began a digital consulting engagement with IRTA through one of our close partners, JOwen Media, LLC. Jeff worked alongside the client during blueprint planning, and all throughout the website project, giving his expertise from the regional and association perspective. We've continued this partnership, implementing these original plans. Our digital marketing engagements range from least aggressive to highly aggressive, and are based on an agile model of velocity, points, and 2-week sprints. IRTA is on a "slow and steady" engagement that fits their budget and staffing resources. The below chart of organic search traffic growth is a good example of a growth at a "least aggressive" pace – steady growth and progress. In the past year we've launched a blog with a steady stream of content for members, including advocacy information, retirement/financial planning, and classroom resources for current educators. IRTA has been very pleased with their steady growth thus far, and have started a bi-monthly webinar series as a feature of their digital marketing strategy. We've established partnerships with professional service companies to bring experts, such as attorneys and financial advisors, as presenters in the webinar series. We've also begun planning a podcast set to start in January, which will be geared especially for a legislative session update.